President Trump will be in Utah today where he's expected to announce moves to dramatically shrink the size of the Bear Ears and Grand Staircase-Escalante national monuments. These areas are dense with ancient artifacts, much of it also sacred to Native Americans. Here's NPR's Kirk Siegler. KIRK SIEGLER, BYLINE: Tribes from across the Southwest began convening in Salt Lake City this past weekend to protest the president's visit today at the state capital. ETHEL BRANCH: Bears Ears will remain. 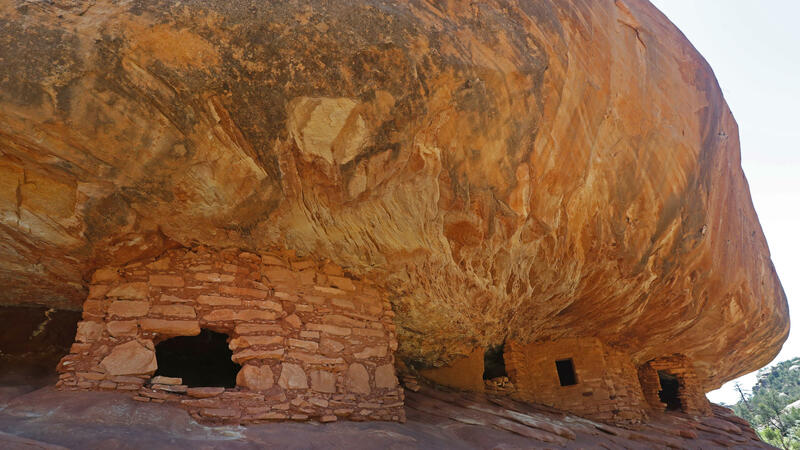 SIEGLER: Just before leaving office, President Obama created the 1.3-million-acre Bears Ears National Monument. And today, also by executive order, President Trump could shrink it by more than three quarters. Ethel Branch, attorney general of the Navajo Nation, predicted the president won't even set foot on or see the land in question. Both of the monuments are, at minimum, a five-hour drive from Salt Lake. BRANCH: I want him to visit Bears Ears before he takes any action. SIEGLER: Depending on what side you're on, this is the latest example of the U.S. government breaking promises with Native Americans. Or it's one about an overreaching federal government, which protected large amounts of federal land without much support from locals. MATT ANDERSON: The vast majority of those tribes who are advocating for the national monument live far from a national monument. The further you got away from the monument, the louder the voices of tribal members. 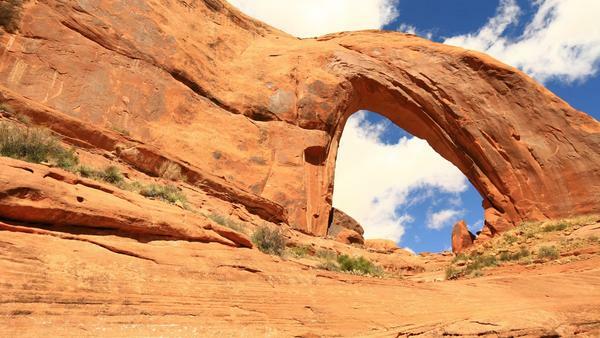 SIEGLER: Matt Anderson with the conservative Sutherland Institute in Utah says large national monuments that the Trump administration has been reviewing hurt rural counties. These areas already have large amounts of federal public land where he says cattle grazing, mining and other types of private enterprise is heavily regulated. ANDERSON: President Trump's decision to reduce these monuments allows us to still protect those areas that need protection while at the same time keeping the area open and accessible to locals who depend on this land for their daily lives. 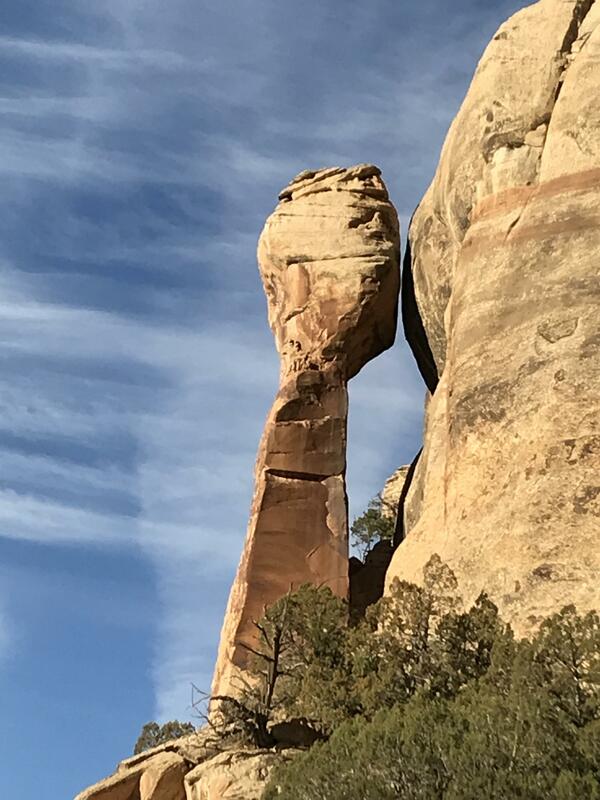 SIEGLER: Rural Utah is still fuming from President Clinton's designation of the Grand Staircase-Escalante National Monument, which, at the time, nixed a proposed coal mine. Still, the law is gray when it comes to whether a president can actually shrink or abolish a large monument. Legal experts say that's historically been the role of Congress. Sixteen presidents have used it to create public lands monuments. Matthew Koehler is with the WildWest Institute. MATTHEW KOEHLER: There's a lot that might not survive the next couple of years. But our public lands legacy is certainly kind of teetering on the brink here. SIEGLER: Several environmental groups and tribes have already announced they'll sue. Kirk Siegler, NPR News, Salt Lake City. (SOUNDBITE OF DIRTWIRE'S "ROMARE") Transcript provided by NPR, Copyright NPR.